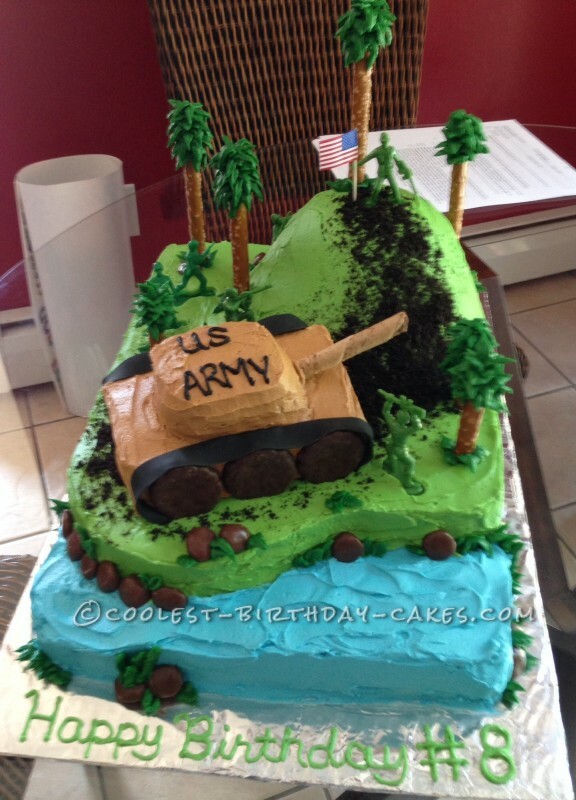 My son wanted an army themed 8th birthday cake. For the base of the cake I used a 13×11 pan. I baked 2 of those and layered them for height, using vanilla. 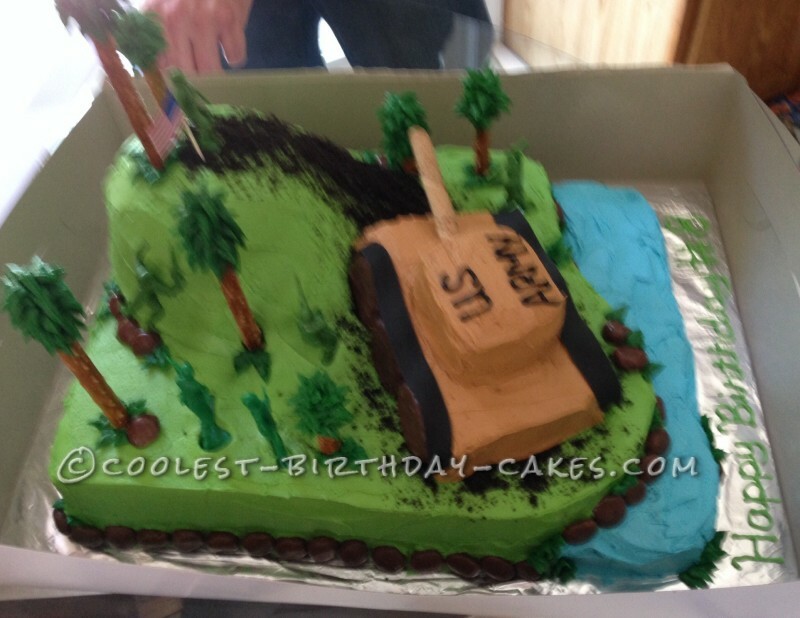 For the tank and hill I used Devil’s food cake, a baseball cake pan, an 8 inch square pan and a 9 inch round pan. 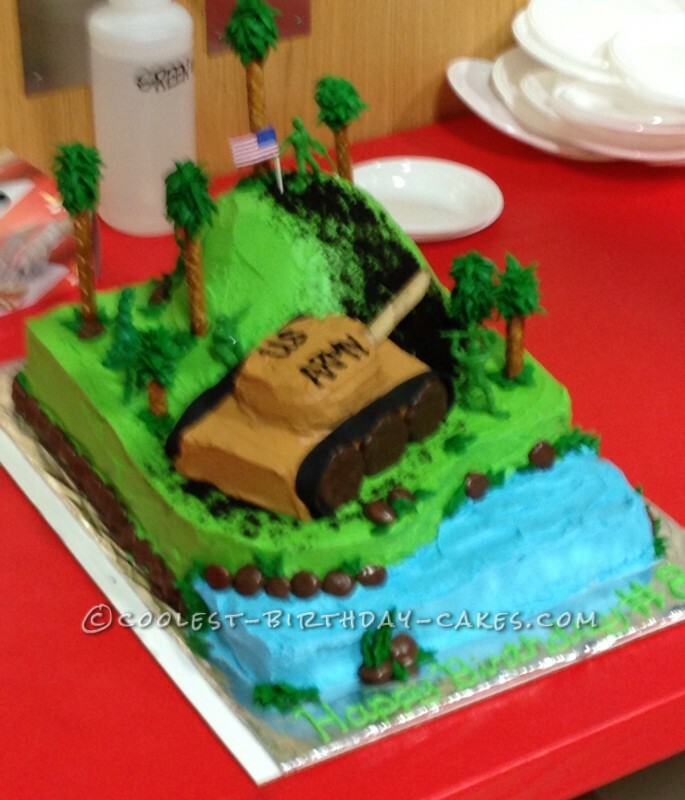 I carved the hill using the dome cake and round cake and carved the tank using the square cakes. 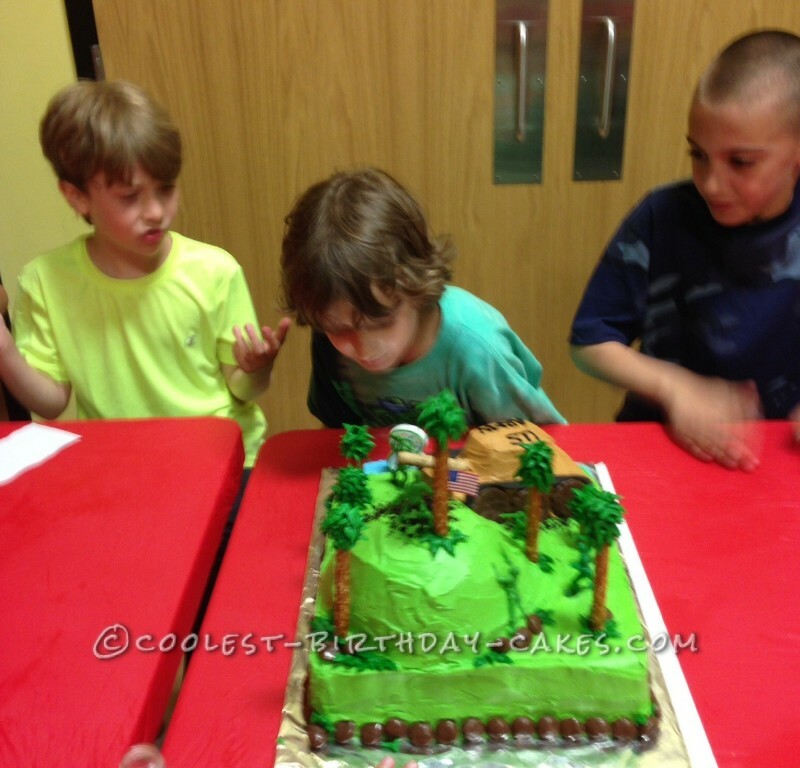 Once the base was frosted I placed the hill on top and frosted it to blend into the base. 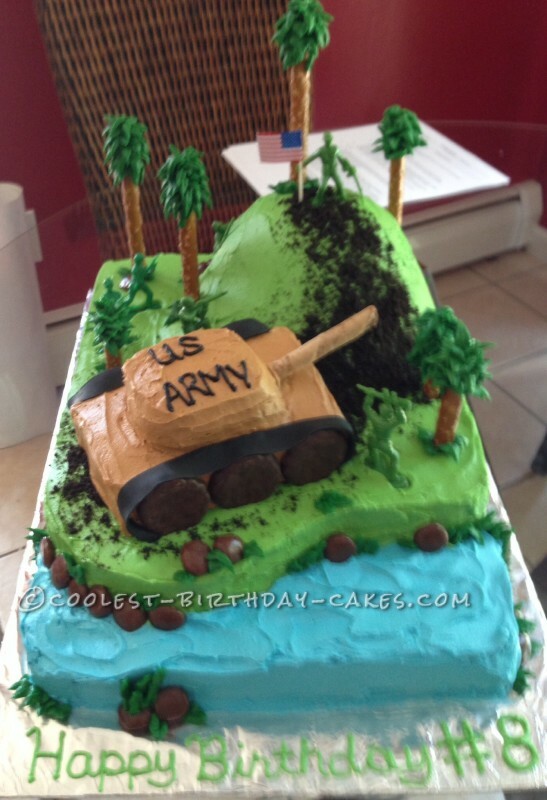 Then, I frosted the tank and carefully placed it. Where it landed was where it was staying. Once in place, I added the wheels and gun, grasshopper cookies and pirouettes. The tire tread was black fondant. I used pretzel logs and added frosting leaves for trees and and milk duds for rocks and border. The road was made with crushed Oreos. Lastly, I decorated with my son’s army figures. 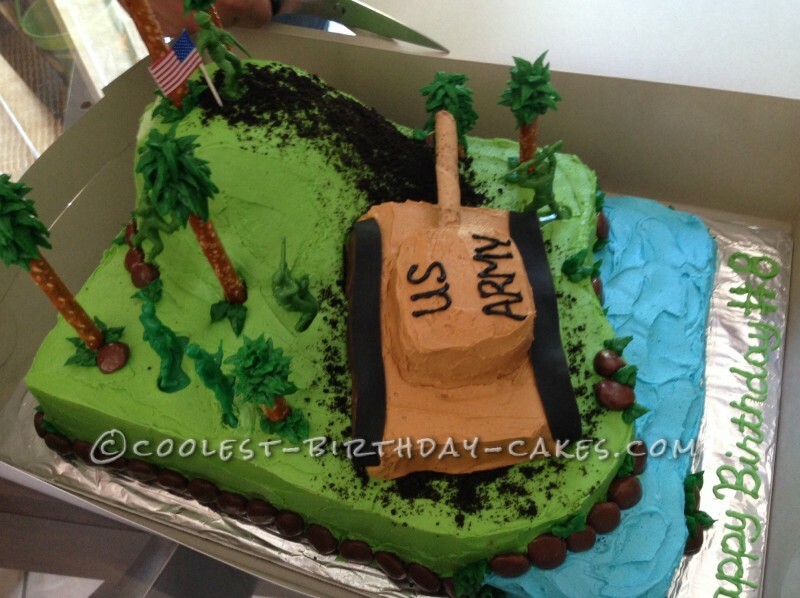 Transporting the cake to the party location was the hardest part. 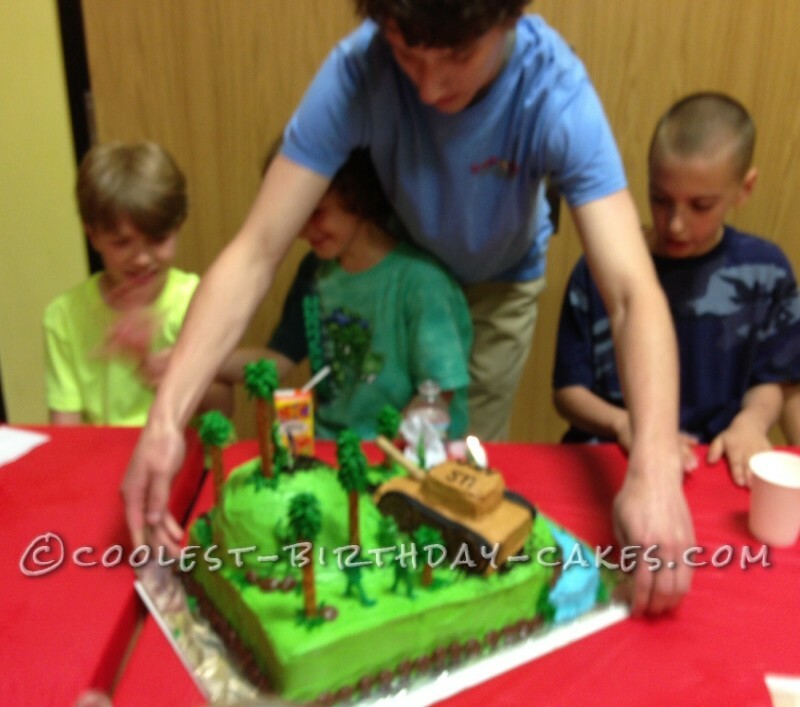 I had a cake box to hold it, but the lid didn’t fit (the cake was too tall), so I cut the lid off. I held it on my lap and accidentally hit one of the trees with my elbow, but no major damagewas done. I only lost a frosting branch or two. 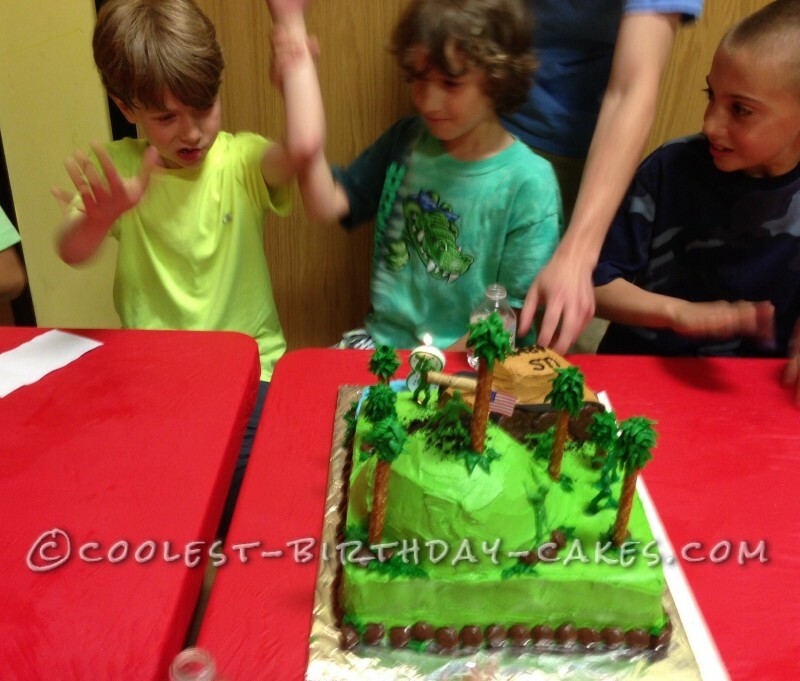 The cake took 6 cake mixes and 6 batches of frosting to make. My son only ate 1 piece of cake.